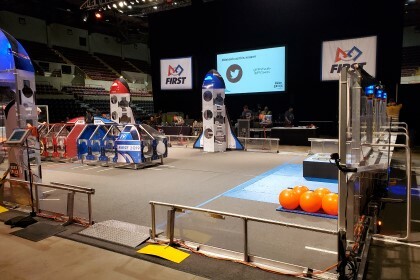 Students and staff from several Western Technical College programs help prepare the La Crosse Center for the FIRST Seven Rivers Robotics Regional this weekend. Western’s students and staff have spent months welding and manufacturing several pieces of the field for the game. This week, they began assembling those pieces at the La Crosse Center. The competition continues through this Saturday, April 6. Thank you to all of Western’s volunteers who help make this event happen!